The trailer of Petta will give Rajinikanth fans a heavy dose of '90s nostalgia as Thalaiva channels his trademark swagger. One of the most awaited films of 2019, Petta marks the first collaboration between Pizza director Karthik Subbaraj and Rajinikanth. It also stars Bobby Simha, Trisha, Sasikumar, Simran, Malayalam actor Manikandan R Achari and Nawazuddin Siddiqui in pivotal roles. The trailer begins with the Rajinikanth's classic low-angle slow-mo shots, his typical sunglass-wielding and hands--behind-the-head moves. Vijay Setupathi plays the primary antagonist, Jithu, who looks rugged and menacing in the trailer. Reports suggest that Rajinikanth will play a hostel warden in the film. Nawazuddin, who will make his foray into the Tamil film industry with Petta, will essay a character called Singaar Singh, and Trisha will be seen portraying the character of Saro. A day before the trailer release, the makers of Petta unveiled a new still from the film. Petta is scheduled to release on 10 January, 2019, during the Pongal weekend. 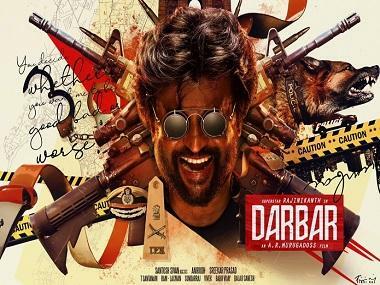 The soundtrack has been composed by Anirudh Ravichander, replacing Subbaraj's usual music director Santhosh Narayanan who collaborated with him on his earlier films.